1. Everyone needs an epilators – If you are reading this, you are possibly a female human being which means you a mammal with body hair. You either are born with unnoticeable hair (then you might not be reading this at all) or have hair that needs to go away when you wear shorts/skirts. 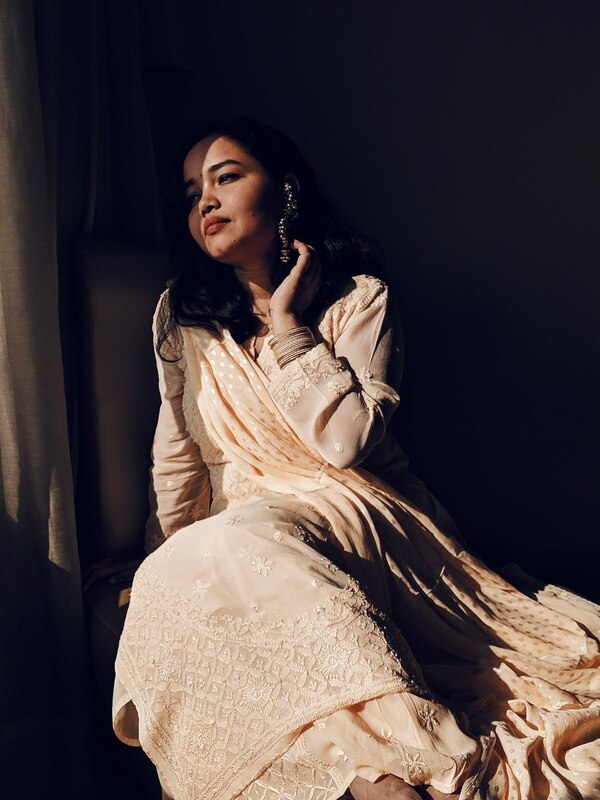 Waxing cannot remove tiny hair so, you need to wait for your hair to grow meaning you cannot wear many things while the hair is reaching the waxable length. Epilators can remove even the shortest hair. So, you do not need to worry if you cannot get an last minute appointment at saloon. 2. Epilators keep skin smoother for longer – When you shave, the roots of the hair remain there and hair grows right back from the next day. On the other hand, epilators (just like waxing) pull off the hair from roots. As a result, you skin remain smoother for longer. 3. Epilators works even on thin hair - I personally have every thin hair. They are not strong. As a result, while waxing, the hair at times breaks off from middle and the roots are left behind. I never faced that issue with epilators. Hair is completely pulled off. 4. 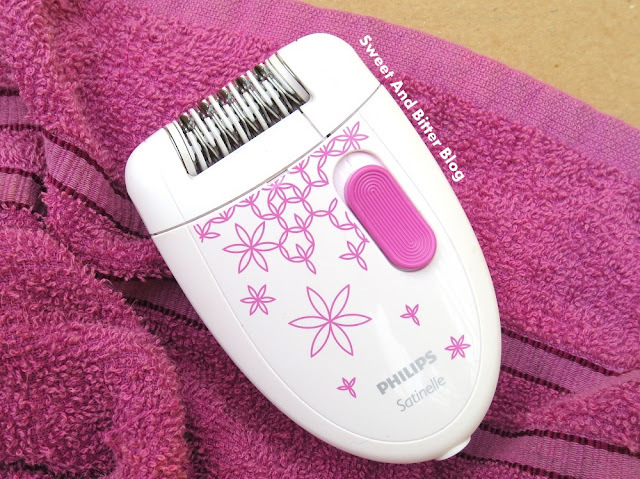 Epilator are for emergencies only – When buying an epilator do not think that it will replace your waxing process. Epilators are for emergency purpose only. You might have to wax as and when needed. Waxing removes dead skin on top which epilators fail to do. But, if you follow a proper exfoliation routine then you might completely depend of epilators and forget the rest. 6. Epilators are for short hair only – If your hair is longer, go for waxing. If it is gone longer than say 1 cm, then it is will cause pain. Again pain depends on personal limits but it really hurts more than it does for shorter hair. 1. 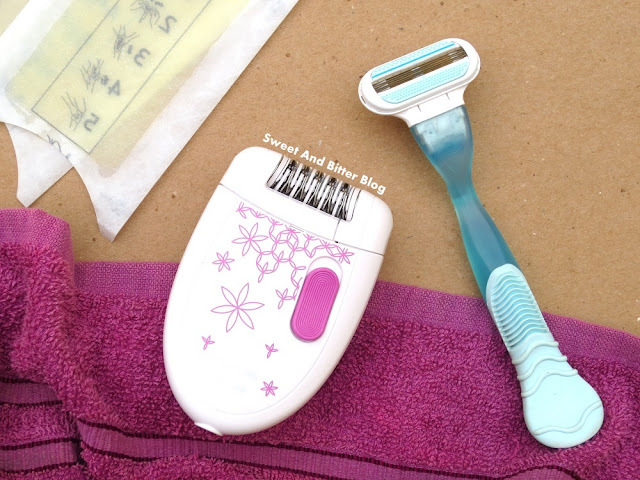 Try waxing first – Do not attempt to try a epilator if you have never waxed. If shaving or hair removing creams are your thing then get waxing done first. When the hair is grows back, try epilation on that. I am saying all this because for people who have never tried waxing, epilators can be pretty painful. On top of that, you will be doing that on yourself so, you will not be able to proceed. For those, who wax regularly, you won’t feel a thing (maybe like mild pinches at max) unless your hair is bit long. 2. 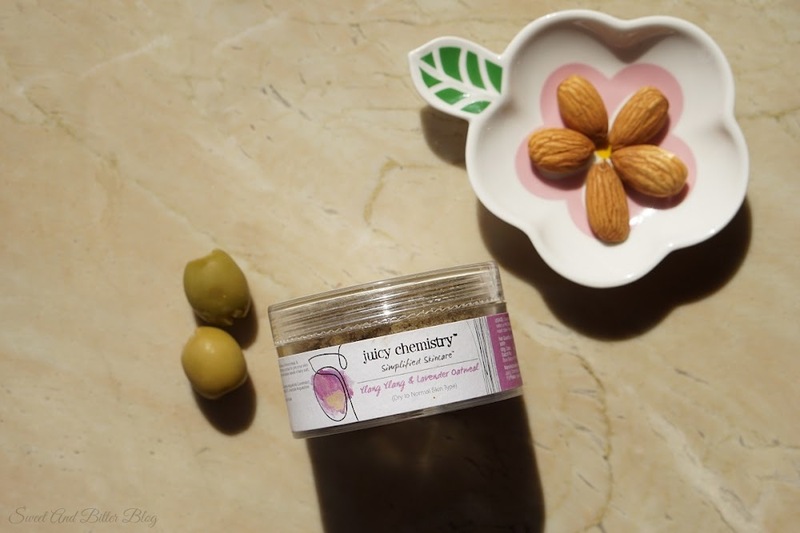 Exfoliate and moisturize – This is something everyone suggested me to save one from ingrown hair. I personally do not follow this and have faced no issue. 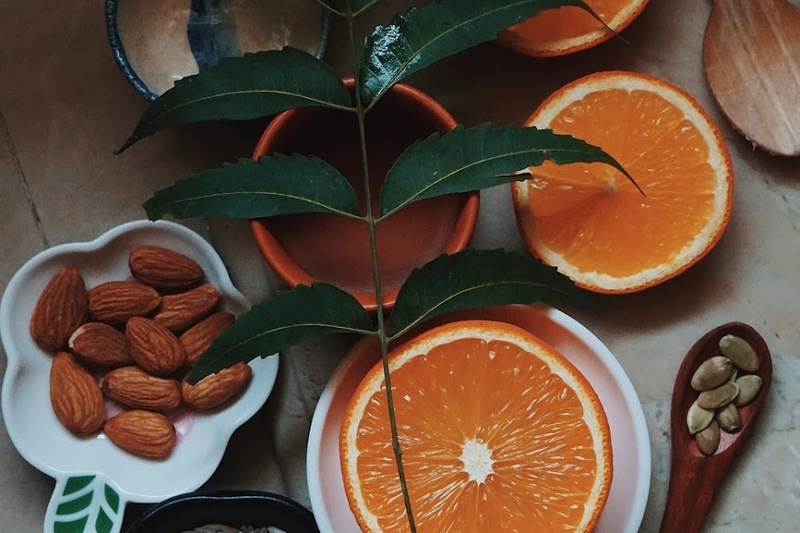 I do apply oil on my skin (if that is what is making the difference!). Or maybe this is faced only by people with thicker hair. 3. Hair might not grow back in same direction – It is faced even by people who try shaving. I was worried about this. 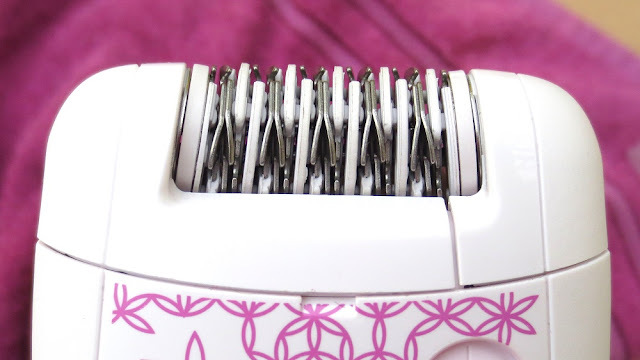 I obediently used the epilator against the growth of hair. So, I do not see any change. 4. 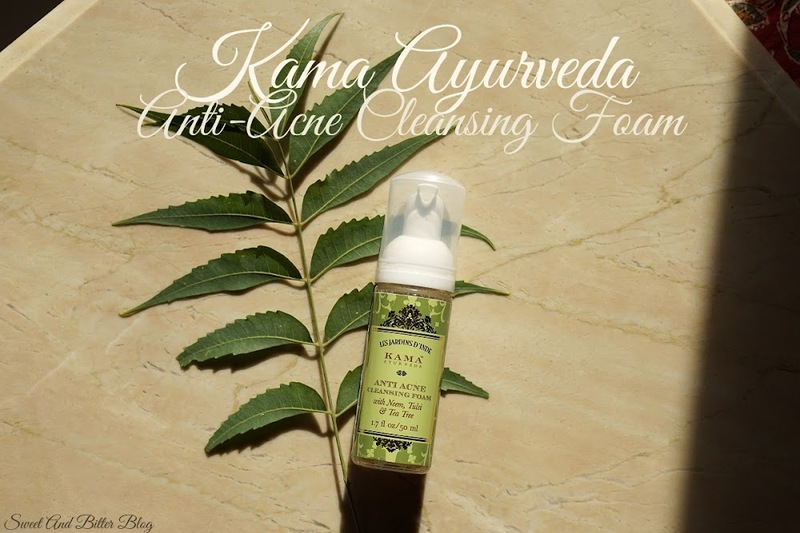 Keeping it clean – While waxing, the hair sticks with the waxing sheets. In hair removing creams, the hair dissolves in the creams. But, when you use epilators, the pulled off hair sticks around. Make sure you do that in a place which can be cleaned easily. Also, Philips epilators comes with a brush can be use the clean the head. Plus, the head is completely removable and can be cleaned under water. 1. Corded or non-corded (battery) – I will be blunt here, battery ones are priced way above the corded ones. Unless, you are in the mood to splurge or you get an amazing discount on battery ones, go for the corded ones. Philips epilators have a comfortable thin long cord. You can easily use it without any issues. Do note that the batteries take longer to charge (more than couple of hours at times) and do not last long. Also, few models cannot be used while charging. That can get frustrating when you are running short of time and discover that what takes more than an hour to charge is out of juice. So, check that before you invest. 2. Single or multi speed – I do not understand the fuss here. The faster the head goes, the faster the hair is pulled out – quicker, less pain and no worries about hair breaking from middle. Single step works good but check the speed provided. Philips BRE200 (the model here) have speed of 600. While the higher end models have speeds setting of 666 and 733. 3. With shaving head or without – The heads can be removed. Some epilators comes with an additional shaving head. I feel that is useless because you can use a simple shaver with changeable blades for that purpose. Why pay more for an extra head? But, if you want to keep things compact and multipurpose then buy the one with shaving head. 4. 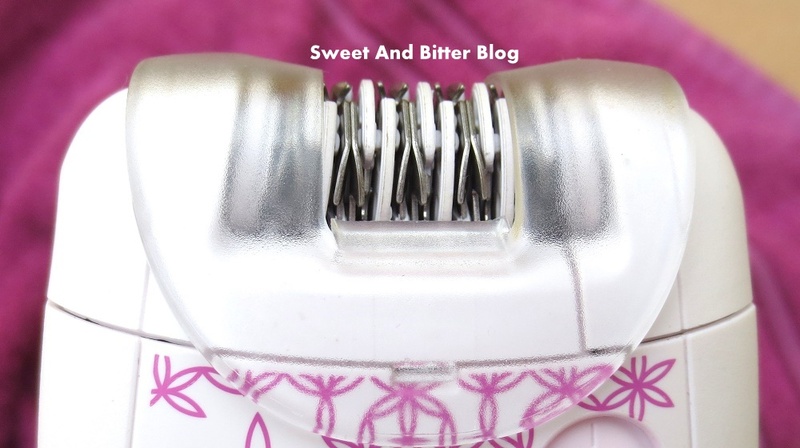 Wet’n’dry or Dry – Epilation works better on dry skin. Shaving works better on wet. If you are willing to use the shaving head then buy the ones that can be use in shower. If you are meaning to use if only for epilation then no need to spend more for the wet feature. 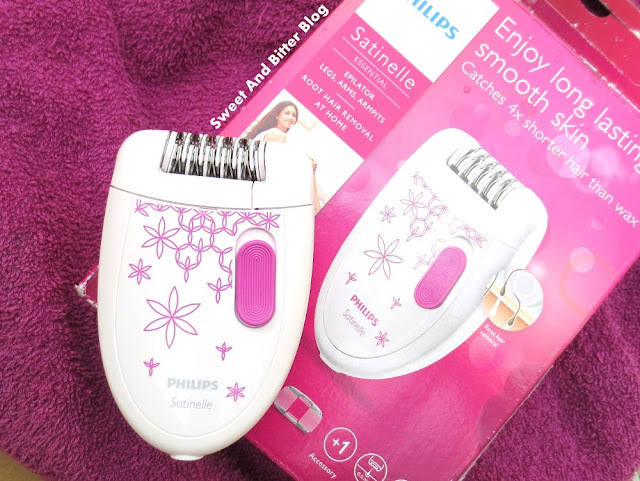 Philips Satinelle Epilator is for legs, arms and armpit. I have used in on my legs and arms. Still afraid to use on armpits because I have stronger hair there and it might hurt more. It comes with a sensitive cap to enable hair removal in delicate areas (armpit and bikini) but I have not got the courage to try it yet. It is corded and the cord is quite long. I never felt that it should have been longer. It had single step, does not comes with a shaving head and meant to be used dry. The tweezing head can be completely removed and cleaned separately. 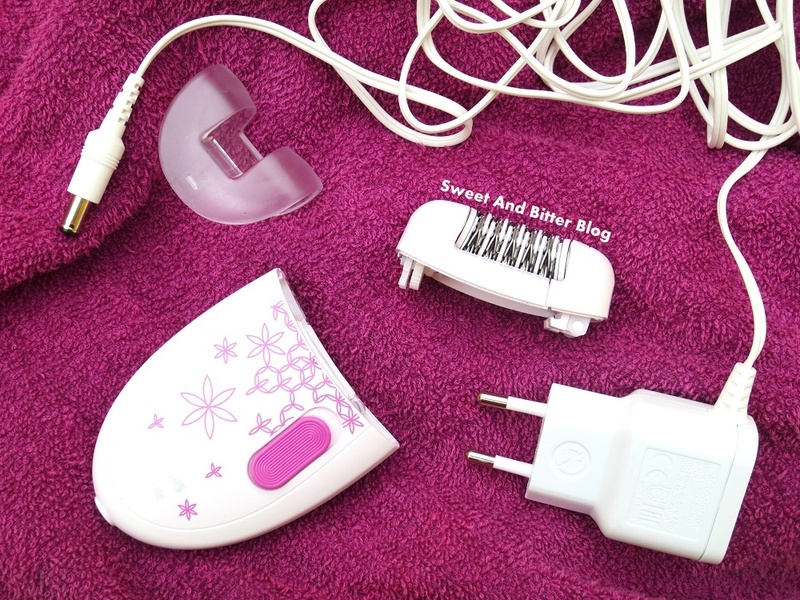 The epilator is white with pink graphics etched on the body. The shape of the epilators fits ergonomically while I roll it against the hair growth at 90 degrees. They could have provided a pouch to keep it with the cord and all because I cannot keep it in the box forever. Philips BRE200/00 is a new launch and is as basic as it can get. Priced at Rs 2495 (you get discounts on these easily), this epilators is a good deal. Philips provides 2 years guarantee and their service centers are easily located in major town. If you thinking of getting an epilators with basic functions then you should try this. Once you see how comfortable you are with them and how often you end up using them, you can invest more and move to the higher end models. That will be better than making a spurge only to realize later that you might not need all the facilities. For example, I was personally going to buy one with all features but after using this, I feel that basic is best for me. This is all that I wanted to share with you. Please do share your experiences with epilators. Any tips that you wish to share with me?